The antidote to all things dull and dry! Whether you're an LOC natural, LCO gal, nightly moisturizer, or twist-out queen, moisturizers have earned their rightful place in any natural hair regimen. Depending on my mood, the season (or curl definer of choice), I may skip my leave-in altogether and go straight to the creamy moisturizers to pull double duty. 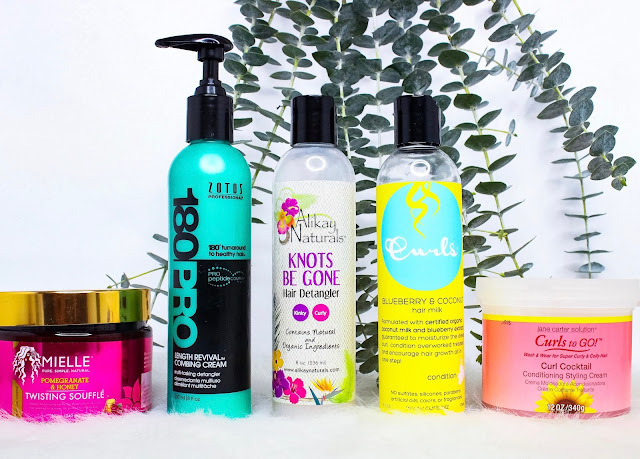 And that's the col thing about these products - if you're looking to become a natural hair minimalist or just spend less money, these picks are packed with nourishing oils and butters that will keep your curls hydrated, moisturized, and soft for days on end. Not to mention - they pack some pretty serious detangling power, too! Bet this lineup surprises you! I know what you're thinking - how does a girl who can't even do a twist-out right fall in love with a Twisting Souffle? Allow me to explain it simply - I think the product was named wrong. 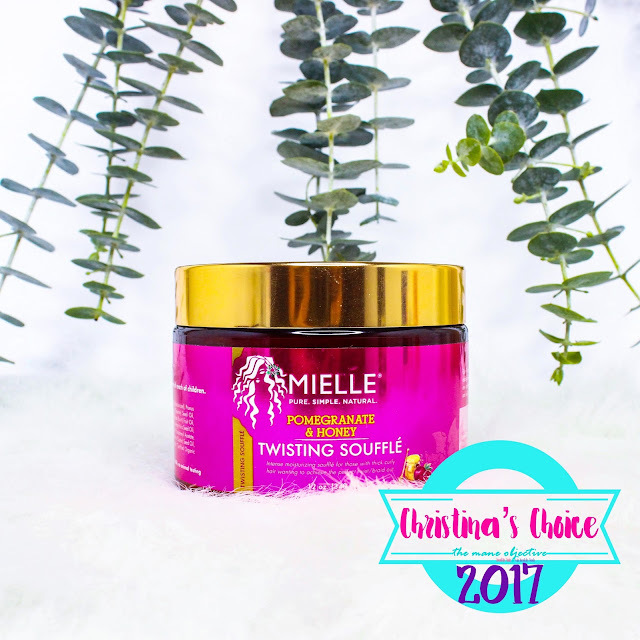 😂 Much like with the Leave-In Conditioner from the Pomegranate & Honey Collection, I fell in love with the Twisting Souffle after first use. It's super thick, rich, creamy, and yet manages to have tons of slip. It's the perfect moisturizer between wash days, and works on its own and in the LCG scencario (leave-in, cream, gel). The fragrance is out of this world appealing, and I deeply appreciate the consistency of the Twisting Souffle and how it coats the hair while enhancing curl definition. Can I speak to the levels of twist-out greatness it provides? No. But something tells me you'll want to give it a try anyway! If you've been around these parts any length of time, then you know I roll deep with Zotos Professional/180PRO. The Miracle Damage Eliminator especially got me through some tough times (and still does!). 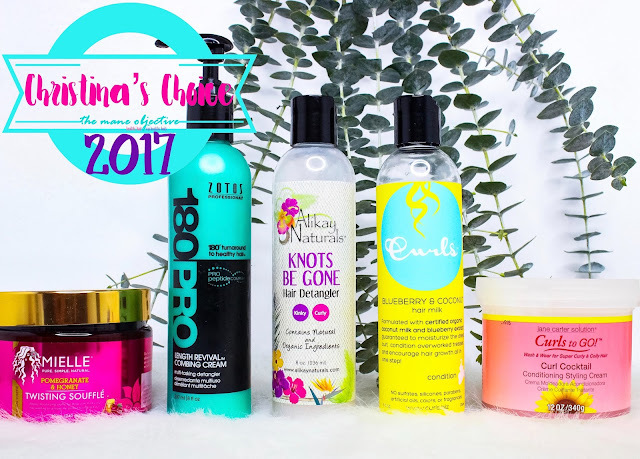 But the 180PRO Length Revival Combing Cream changed the game for me in a real way in 2017, earning a definite spot on this list. 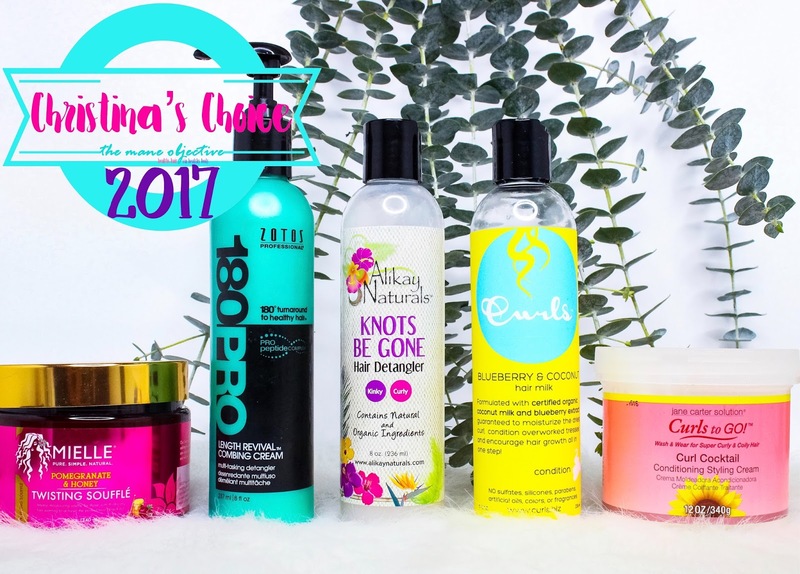 Not only is it a stellar combing cream that eliminates the fuss and drama notoriously associated with detangling natural hair - but it also works to repair and prevent damage. The 180PRO Length Revival Combing Cream binds to the weakest parts along the hair shaft, reinforcing these points against breakage that happens during combing, styling, and everyday wear. If you're bouncing back from damage, or have breakage-prone hair, the 180PRO Length Revival Combing Cream is a lightweight, extremely hydrating breakage fighter that can be used as a leave-in, moisturizer/refresher, and detangler. I wasn't expecting Knots Be Gone to be as dope as it is. It's not slippery and slimy like your typical detangler. But this jawn WORKS! I'm so confident in the ability of Knots Be Gone to keep my hair detangled that I don't even section my hair off when I use it. With natural hair, you know you gotta be confident to pull that mess off. 😂 I also doubled back and used Knots Be Gone as my leave-in for several wash & go's. I LOVED the results. My hair maintained serious moisture, softness, and shine - even when used in conjunction with notoriously drying EcoStyler. Even after sitting in the dry, hot sauna at my gym. All that, plus the amazing ingredients earned Knots Be Gone a spot on the list! I got suuuuuuper attached to the Blueberry & Coconut Hair Milk in 2017. Like, I love the Blueberry Bliss Leave-In, but there's something about the Blueberry & Coconut Milk that just hedges it out a teeeeeeny bit. They're both creamy, but the Blueberry & Coconut Hair Milk is just a lil' bit richer. More slippier. Feels amazing on the strands. Not only is it a great detangler, but it helps moisturize the hair and soaks into the strands without leaving white residue. Plus, it seriously helps tackle and minimize frizz. The moisture, the slip, the shine, it's all there y'all! Curl Cocktail accomplishes something that I absolutely love in a product - thick, creamy, rich, and super moisturizing without being greasy. That right there is enough alone. But Curl Cocktail goes beyond that - it's incredibly versatile. You can use it as a leave-in, pair it with a leave-in and gel, or use it all on its own. It can even be used as a re-moisturizer for hair between wash days. Curl Cocktail goes on super easily, has nice slip, and makes the hair feel super smooth and lush. Another bonus? A little goes a long way, so that 12oz jar will definitely last! She beat out the best! Are you shocked? Don't be! Okay, maybe be shocked a little bit. Because I definitely left y'all in the dark about the Pomegranate & Honey Twisting Souffle. No excuses, no lies - I shoulda told y'all sooner. But I'm telling you now, so that you're ready in 2018. It's definitely worth picking up a jar. I'm OBSESSED with this unlikely hero! Very interesting post.this is my first time visit here.I discovered so many intriguing stuff in your blog particularly its discussion.thanks for the post. Excellence is nevertheless shallow' they say. Without a doubt, you can be an extraordinary individual yet who says you're not qualified for looking great? Be it a gathering, work or even an easygoing outing with loved ones, prepping oneself is of most extreme significance. To be adequate while meeting your customers or making that date consummate, you should influence yourself to sparkle out in the most ideal way imaginable. I can state this is the ideal blog for best essay writing service surveys everyone who read and post here regular. I don't know why I generally visit here perhaps its so pleasant to peruse here an intriguing subjects throughout the day.